Abstract: With regard to the inferior techniques and poor accuracy of phase center calibration of antenna array, by the power of precise engineering surveying technique, a new calibration method is proposed considering the actual antenna pointing. First of all, an industrial photogrammetric system is utilized to get the coordinates of points on antenna panels in different postures, and the actual pointing of mechanical axis is obtained by least square fitting. On this basis, the coordinates of antenna rotation center are obtained by seeking the intersection of mechanical axes with the matrix method. Finally, the mechanical axis in arbitrary postures is estimated based on inverse-angle weighting interpolation method, and the reliable phase center is obtained by moving a fixed length from the projective center alone the mechanical axis. 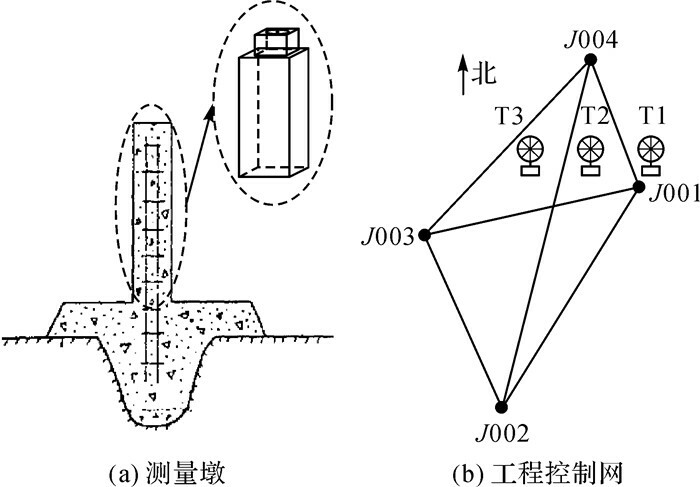 An uplink antenna array consists of three ϕ 3 m antennas is taken as experimental object, all photogrammetric coordinate systems are unified by the engineering control network, each antenna phase center is precisely calibrated with this proposed method. 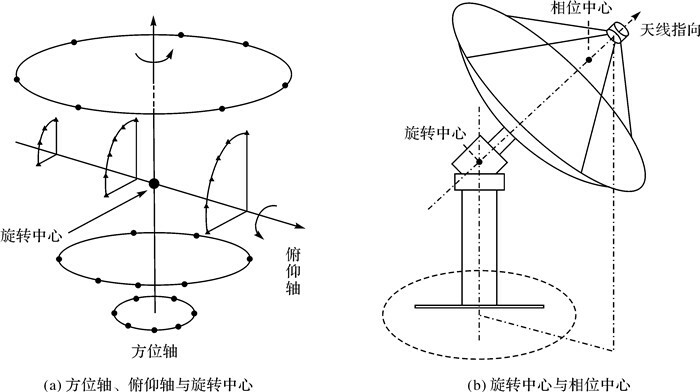 The effect of electrical signal synthesis shows that this method can effectively compensate the influence of gravity deformation and machining, and enhance the synthetic signal amplitude of uplink antenna array. 李海涛, 李宇华, 匡乃雪. 深空探测中的天线组阵技术[J]. 飞行器测控学报, 2004, 23(4): 57–60. LI Haitao, LI Yuhua, KUANG Naixue. Antenna array forming technology in deep space exploration[J]. 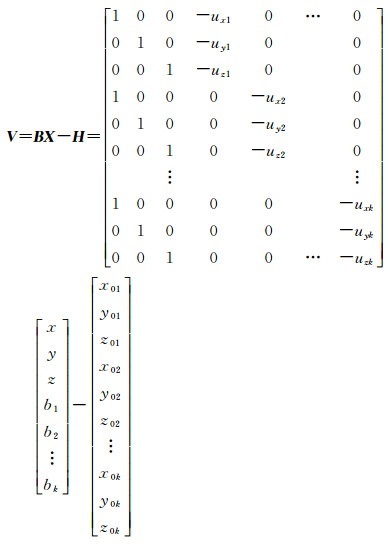 Journal of Spacecraft TT&C Technology, 2004, 23(4): 57–60. 卢满宏, 周三文, 谌明, 等. 深空测控通信技术专题研究[J]. 遥测遥控, 2007, 28(S1): 11–16. LU Manhong, ZHOU Sanwen, CHEN Ming, et al. Research on deep space TT&C and communication[J]. Journal of Telemetry, Tracking and Command, 2007, 28(S1): 11–16. 姚飞, 匡麟玲, 詹亚锋, 等. 深空通信天线组阵关键技术及其发展趋势[J]. 宇航学报, 2010, 31(10): 2231–2238. 钟晓玲, 周三文, 李海涛, 等. 天线组阵信号合成技术的研究[J]. 遥测遥控, 2007, 28(S1): 43–48. ZHONG Xiaoling, ZHOU Sanwen, LI Haitao, et al. Research on the antenna arraying signal combining technique[J]. Journal of Telemetry, Tracking and Command, 2007, 28(S1): 43–48. 周三文, 卢满宏, 黄建国. 天线组阵全频谱合成效率分析[J]. 遥测遥控, 2009, 30(2): 46–52. 何国龙, 李国民. 上行天线组阵载波相位并行标校方法研究[J]. 飞行器测控学报, 2012, 31(1): 19–22. HE Guolong, LI Guomin. A parallel carrier phase calibration method for uplink antenna arrays[J]. Journal of Spacecraft TT#38;C Technology, 2012, 31(1): 19–22. 马下平, 沈云中, 王解先, 等. 卫星激光测距与甚长基线干涉测量的天线旋转中心的直接解法[J]. 测绘学报, 2014, 43(3): 257–262. 柯炳清, 丁克乾. 天线相位中心的推算及标定[J]. 遥测遥控, 2009, 30(6): 66–69. 周命端, 郭际明, 郑勇波, 等. 卫星天线相位中心偏移对GPS精密单点定位精度的影响研究[J]. 测绘通报, 2008(10): 8–9, 13. ZHOU Mingduan, GUO Jiming, ZHENG Yongbo, et al. A study of the impact of satellite antenna phase center offsets on GPS precise point positioning accuracy[J]. Bulletin of Surveying and Mapping, 2008(10): 8–9, 13. 胡志刚, 赵齐乐, 郭靖, 等. GPS天线相位中心校正对低轨卫星精密定轨的影响研究[J]. 测绘学报, 2011, 40(S1): 34–38. HU Zhigang, ZHAO Qile, GUO Jing, et al. Research on impact of GPS phase center variation on precise orbit determination of low earth orbit satellite[J]. Acta Geodaetica et Cartographica Sinica, 2011, 40(S1): 34–38. 郭际明, 史俊波, 汪伟. 天线相位中心偏移和变化对高精度GPS数据处理的影响[J]. 武汉大学学报(信息科学版), 2007, 32(12): 1143–1146. GUO Jiming, SHI Junbo, WANG Wei. Impact of antenna phase center offset and variation for high precision GPS data processing[J]. Geomatics and Information Science of Wuhan University, 2007, 32(12): 1143–1146. 沈云中, 陈廷武. 上海天文台并址站的空间归心测量[J]. 同济大学学报(自然科学版), 2006, 34(2): 217–220. 李金岭, 乔书波, 刘鹂, 等. 2008年佘山25 m射电天线归心测量[J]. 武汉大学学报(信息科学版), 2010, 35(12): 1387–1391. LI Jinling, QIAO Shubo, LIU Li, et al. Site survey at Sheshan 25 m radio telescope in 2008[J]. Geomatics and Information Science of Wuhan University, 2010, 35(12): 1387–1391. 孙中苗, 范昊鹏. VLBI全球观测系统(VGOS)研究进展[J]. 测绘学报, 2017, 46(10): 1346–1353. 李金岭, 张津维, 郭丽. 甚长基线干涉测量天线参考点和轴线偏差监测方法探讨[J]. 测绘科学, 2014, 39(11): 10–14. LI Jinling, ZHANG Jinwei, GUO Li. Discussion on monitoring method of reference point and axis offset of VLBI antenna[J]. Science of Surveying and Mapping, 2014, 39(11): 10–14. 马下平. ITRF中GNSS/SLR并址站归心基线的"一步解"[J]. 测绘学报, 2018, 47(1): 64–70. 尚军平, 傅德民, 邓颖波. 天线相位中心的精确测量方法研究[J]. 西安电子科技大学学报(自然科学版), 2008, 35(4): 673–677. 陈曦, 傅光, 龚书喜, 等. 阵列天线相位中心的校准方法及误差分析[J]. 西安电子科技大学学报(自然科学版), 2011, 38(3): 145–149. 李颖, 王志雄, 谭伟. 天线相位中心的测量和校准方法研究[J]. 微波学报, 2012(S3): 135–138. LI Ying, WANG Zhixiong, TAN Wei. Research on measure and calibration of antenna phase center[J]. Journal of Microwaves, 2012(S3): 135–138. 李广云, 范百兴. 精密工程测量技术及其发展[J]. 测绘学报, 2017, 46(10): 1742–1751. 李宗春, 李广云. 天线几何量测量理论及其应用[M]. 北京: 测绘出版社, 2009. LI Zongchun, LI Guangyun. Measuring theory, technique and application of antenna[M]. Beijing: Surveying and Mapping Press, 2009. 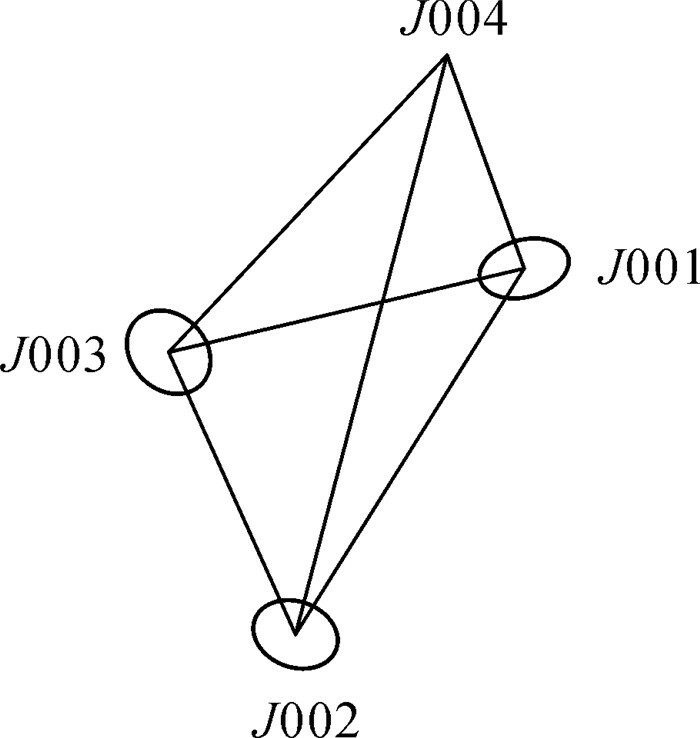 HAN Lejia, BANCROFT J C. Nearest approaches to multiple lines in n-dimensional space[R]. Calgary: University of Calgary, 2010. 樊子德, 李佳霖, 邓敏. 顾及多因素影响的自适应反距离加权插值方法[J]. 武汉大学学报(信息科学版), 2016, 41(6): 842–847. FAN Zide, LI Jialin, DENG Min. An adaptive inverse-distance weighting spatial interpolation method with the consideration of multiple factors[J]. Geomatics and Information Science of Wuhan University, 2016, 41(6): 842–847. ROGSTAD DH, MILEANT A, PHAM T T. Antenna arraying techniques in the deep space network[M]. Hoboken, New Jersey: John Wiley & Sons, Inc., 2003.